Sheriff Tom Dart says the Cook County jail population could be reduced by as much as a third without any threat to public safety. 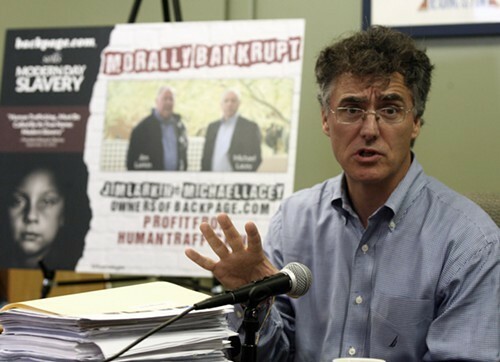 Cook County sheriff Tom Dart is the local jailer, the guy responsible for overseeing nearly 10,000 inmates deemed unfit to go free by prosecutors and judges. But in an era when most elected officials still vow to get tougher on crime, Dart has made national headlines for saying repeatedly that too many people are locked up. The sheriff renewed his pitch for a more humane, more effective criminal justice system recently when he and Sun-Times reporter Rummana Hussain stopped by First Tuesdays, the talk show my friend Ben Joravsky and I host at the Hideout. Dart didn't name names—he is both a friendly guy and a skilled politician—but he ripped the political establishment for its "thoughtless" approach to incarcerating thousands of offenders who don't pose a serious threat to the public. He said that's especially true at the county jail, where most inmates haven't yet been tried for the crimes they're accused of. "Some of the horrific acts that have occurred, those people deserve to be removed from our society for an extended period of time," he said. "But that's a small percentage." Dart estimates that about a third of the inmates at the jail suffer from serious mental health problems, and most are nonviolent and in need of treatment. "I don't think virtually any of them should be there at all," he said. "Beyond that, there's probably another two to three thousand where the risk is so minimal that you have to say, why are we holding them here?" The answer is that they're too poor to bail out of jail. "I guarantee you there were probably very few people in the time of Dickens who said, 'You know, years from now we're not going to look very good for what we did with the poor and what we did with orphans,'" Dart continued. "Doesn't it make you shudder to think that people 20 years from now, 50 years from now, 100 years from now, they're going to say, 'You were the folks who locked up mentally ill people'?" Without calling out Rahm Emanuel directly, Dart also criticized the mayor's decision to shutter mental health clinics. "That's called thoughtless," Dart said. Dart's approach is rooted in more than compassion. There are serious consequences to cramming too many people into jail cells. That was clear again on Friday, when two more inmates sued Dart and other county officials for civil rights violations stemming from living conditions at the jail. Ricky Whitehead and Omar Williams say their cells were so cold during stretches of last winter that ice and frost formed on the walls and their shampoo froze in its bottles. Jail staff did nothing except provide a couple of extra blankets, according to the suit. The two are not the kind of characters to draw immediate sympathy—Whitehead has been locked up for four years on charges of armed robbery and aggravated battery with a firearm, and Williams has been incarcerated for two years while awaiting trial for allegedly killing a 22-year-old during a dispute on the Near West Side in 2011. Still, "no matter what the charges, everyone there has fundamental civil rights for humane treatment and humane conditions," says Dylan Brown, one of the attorneys representing the men pro bono. Dart's office said the allegations are "without merit." "We constantly and aggressively monitor the temperatures throughout the jail," spokeswoman Sophia Ansari wrote in an e-mail. But Brown notes that the case is one of scores pending against county officials over conditions at the jail, most of them related to stresses on inmates and staff as a result of overcrowding. In February attorneys at Northwestern law school filed a suit alleging that jail inmates suffered "sadistic" treatment and routine abuse at the hands of jail guards. A "culture of lawlessness has flourished in large part because of [officials'] failure to adequately manage the population of the jail and redress the well documented overcrowding crisis," the suit alleges. The case is still in federal court. In our interview, the sheriff angrily rejected those charges as "outrageous." He said that if the Northwestern attorneys had evidence of inmate mistreatment, they should have notified him or federal officials monitoring the jail. Defending the Northwestern suit has cost more than $1 million in taxpayer funds that could have been used on crime-prevention programs, Dart said. But the long-term cost of conditions at the jail is far higher. The jail has been under court decrees for most of the last 40 years because of civil rights violations. At different points, inmates have been forced to sleep on cell floors, and exposed to violence and unsanitary conditions, including rat infestation and bacteria. Fights—some involving shanks—break out regularly. Dart says conditions have improved. And in recent weeks federal monitors have praised the sheriff and jail officials for being in "substantial compliance" with court orders by improving maintenance and safety. But county officials have fought with each other over who's to blame for the jail population, drawing rebuke from the court-appointed monitors. "The County has yet to develop a cogent, consolidated, or future oriented plan to address the underlying causes of jail crowding," a monitor wrote in November. "And the option of doing nothing will be expensive to the taxpayers; and dangerous for staff and inmates." On January 6, Ben and I will be back at the Hideout with mayoral candidate Jesus "Chuy" Garcia. This will be another interesting conversation, so feel free to fight the post-holiday blues by joining us. "I like to step out of the way and let the films do the work," says Nicole Dreiske, executive director of the International Children's Media Center who led the program. Authorities have conducted surveillance on activists in recent years but won't say why. Having apparently exhausted himself dispensing so much BS, Mayor Rahm heads off for a holiday, leaving the rest of us to get ready for Jesus Garcia's January 6 appearance at the Hideout.